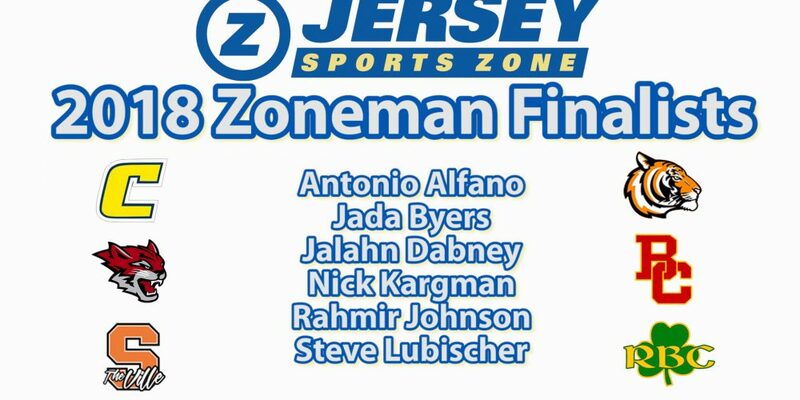 Jersey Sports Zone is proud to announce the six finalists for the Zoneman Trophy, our version of New Jersey high school football player of the year. The winner will be announced on Wednesday, December 5 during JSZ’s second annual All-Zone football banquet at the APA Hotel in Woodbridge. Watch our profiles of six outstanding players and learn more about JSZ’s top football honor! In the year 2000, I received the great honor of a Heisman Trophy ballot as I started my tenure on television at WPDE-TV in Myrtle Beach. I was so excited to get the chance to weigh in on such a significant award and it got me thinking of bringing the same kind of excitement to our high school football coverage. So we built a trophy and instead of the Heisman, the Zoneman was born. During my 15 years, we were fortunate to have some outstanding winners of our award starting with former Pittsburgh Steelers and Miami Dolphins linebacker Lawrence Timmons, former Notre Dame quarterback Everett Golson and current Clemson University wide receiver Hunter Renfrow, who caught the game winning TD pass in the 2016 National Championship game. The Zoneman tradition is still going strong in South Carolina, began its New Jersey chapter on the Jersey Shore and is now a statewide honor. We’re excited to continue this tradition in New Jersey high school football as we will present the most outstanding player in the state with our Second Annual Zoneman Trophy. 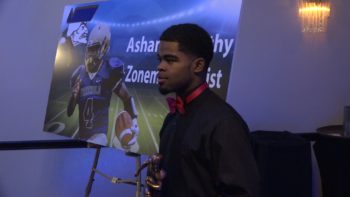 Freehold Borough quarterback Ashante Worthy won the inaugural Jersey Sports Zone Zoneman Award for the top football player during the 2017 season. 7th Place: Taquan Roberson, DePaul Catholic quarterback: Roberson, a Penn State commit, closed out his senior season in masterful fashion for the Spartans. He threw 29 touchdowns for 2,432 yards and will go down as one of the most decorated quarterbacks to play in New Jersey. 8th Place: Jalen Berger, Don Bosco Prep running back: Berger led one of New Jersey’s most talented backfields at Don Bosco Prep by displaying elite patience and explosiveness. Only a junior, he holds offers from top-tier Power 5 college football programs and has plenty more in the tank for his senior year. 9th Place: Juwon Jackson, Piscataway running back: Jackson was a main reason why Piscataway reached a 13-0 record and won both a sectional title and a newly-minted “Bowl Game” at MetLife Stadium. He rushed for 1,898 yards and 31 touchdowns on the season. 10th Place: Ronnie Hickman, DePaul Catholic wide receiver/defensive back: Hickman was arguably the most dangerous two-way player in New Jersey. Committed to Ohio State, Hickman was one of five New Jersey football players selected to the 2019 All-American Bowl. His senior season was unfortunately cut short due to a torn ACL late in the year. 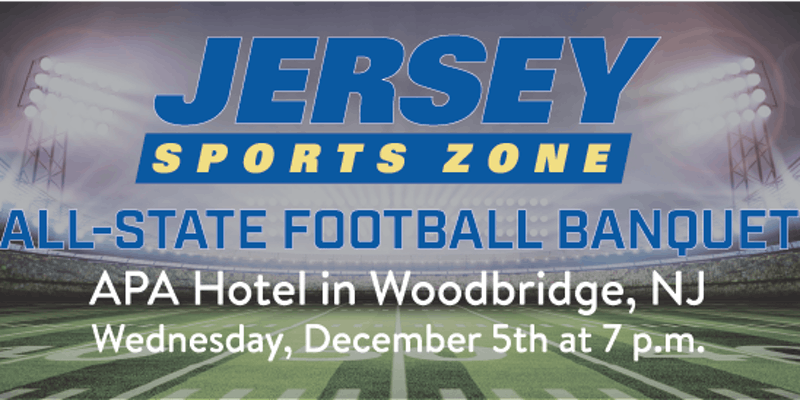 Jersey Sports Zone will honor the top players in the state at our second-annual JSZ Football Banquet set for Dec. 5, 2018 at the APA Hotel in Woodbridge. The All-Zone team will consist of top players at every position from around the state, winners from the Plays of the Week and Plays of the Year polls and the announcement of the coveted 2018 Zoneman Trophy.